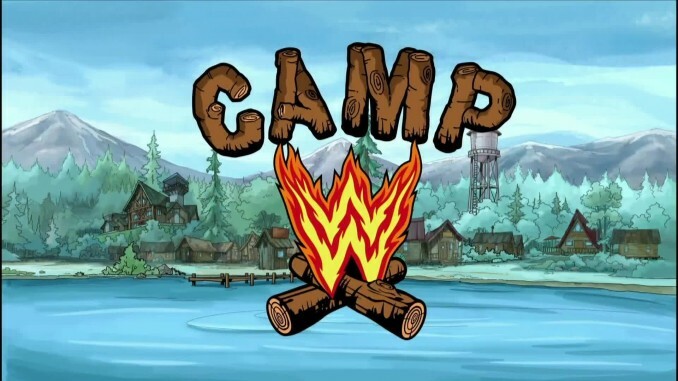 Camp WWE is an upcoming WWE Network show. It is produced by Seth Green and Stoopid Buddy Stoodios. 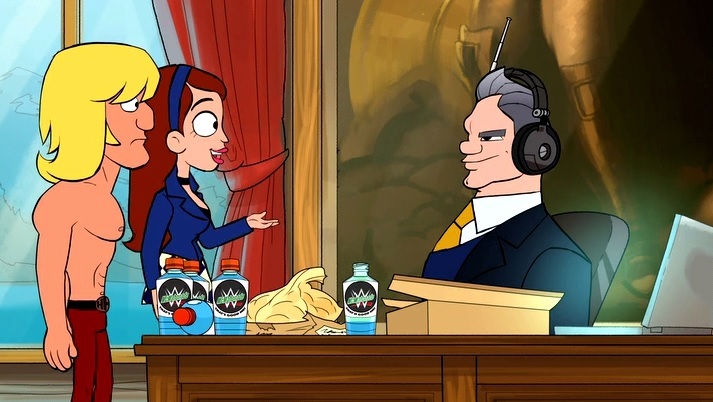 Camp WWE is short-form series that imagines WWE Superstars and Divas as children at a summer camp run by Mr. Vince McMahon. 1 “There’s No Place Like Camp” May 2, 2016 When Mr. McMahon discovers John Cena misses home, he enlists his counselors to help prevent a camp-wide outbreak of homesickness. 2 “Not Without My Eyebrow“ Panic ensues after someone shaves off The Rock’s eyebrow and Ric Flair is tasked with helping The Great One regain his mojo. 3 “Survival Weekend“ Sgt. Slaughter drags campers away for a Survival Weekend while Mr. McMahon’s favorite weekend of the year turns into a nightmare. 4 “Vince Is Just Not That Into You“ Triple H takes Mr. McMahon out on a date to win his approval while John Cena and Mark Henry team up to welcome an unexpected addition to Camp WWE. 5 “A Family McMahon“ “Stone Cold” Steve Austin’s pranks drive Mr. McMahon to quit while Nikki Bella must refine Bray Wyatt so he doesn’t ruin the annual Camp WWE dance. Big Show – a big, dumb and gentle 8 year old. Big Show’s character is both childlike and monstrous in size but doesn’t understand his own strength or the meaning of any word with more than two syllables. Hulk Hogan – this character will be nixed due to the racist comments controversy but they wanted Hogan’s character to be a camp legend who is huge, powerful and charismatic but tired from being old and being from a different era, still trying to connect with people by calling them “brother.” (Hogan has since been edited out of the series). John Cena – an 8 year old camper described as the “most adorable, cherry, upbeat boy scout type” and a cute goody two-shoes who will do anything to make the other campers happy. 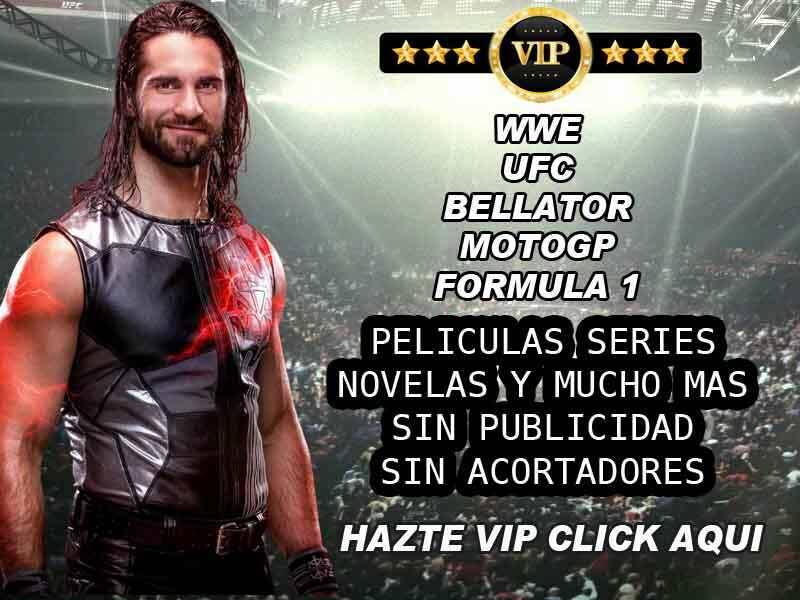 Cena’s character is also described as a polarizing figure at the camp who is sometimes used by others to do their dirty work. He annoys people because he never gives up at anything and is always trying to inspire others. Mark Henry – the strongest 8 year old in the world, who loves food and girls. He brags that he knows everything about women but it comes out that he knows nothing about women. R-Truth – Neither big or bright but is funny and drives people crazy with his misguided theories on why things are what they are. His character is also the most gullible camper who always gives you second and third-hand information that’s almost impossible to believe. Ric Flair – a camper who is 5 years older than everyone else that rides in limousines and jet planes. His character is cocky, always styling & profiling and is also the dirtiest kid in camp who shocks Vince with stories of his sexual conquests. The Bella Twins – Brie Bella is the cunning, cute and sneaky one while Nikki Bella is the tomboy of the two and has the best body of all the women campers. They sometimes play “twin magic” on unsuspecting campers. The Undertaker – the scariest 8 year old you’ll ever meet, a large gothic kid obsessed with mystical powers and death. His character is based on Drax from Guardians of the Galaxy and Satin from Game of Thrones.